A growing number of early childhood education (ECE) programs are using coaching to support teachers’ professional development and improve the quality of early childhood instruction. Educators work one-on-one with their coaches towards specific, individualized teaching goals, focusing on skills and knowledge they can put into practice in their classrooms. Research and practice show that coaching, when implemented well, can have positive impacts on educator professional development, student outcomes, instructional leadership, and organizational systems. As a result, more state and federal policies – notably the 2016 Head Start Performance Standards – encourage or require coaching. There are still many unknown factors and variables behind coaching’s effects, and results can vary substantially. Moreover, many evidence-based models are cost-intensive or difficult to implement at scale. 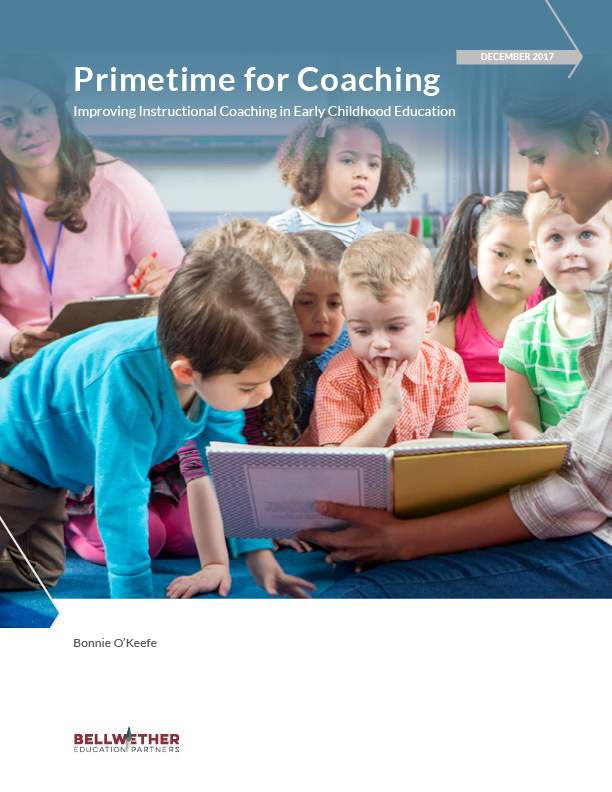 This creates a challenge for programs and policymakers seeking to use coaching to improve early childhood teaching and learning. Profiles several diverse coaching approaches and models from the field, to lift up lessons from coaching in practice. Leaders and decision-makers at different levels of the early childhood sector must think carefully and creatively about how more early childhood educators can access coaching experiences that will effectively advance their instructional practices and allow them to better serve their students. The paper concludes with recommendations for early childhood program leaders, state and federal policymakers, researchers, and philanthropic organizations.